PROJECT OFFICER (1 position) to work for the Energy and Environment Partnership Project (EEP), work base: Tra My district, Quang Nam province. Deadline for application: 07 October, 13. 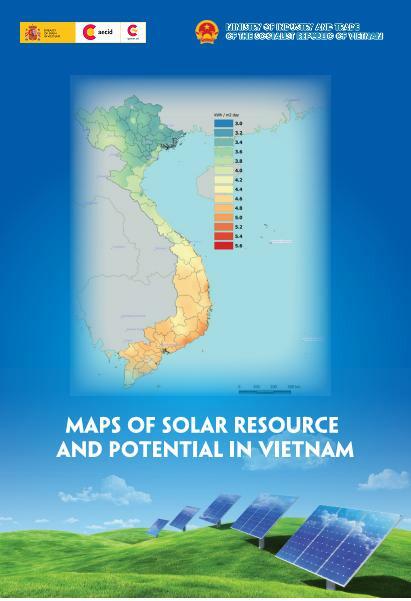 “Integrated and Sustainable Clean Energy Solution for Vietnam” Project is a new project supported by WVV. The project will increase the access of marginalised ethnic communities and the schools in Tra My and Phuoc Son districts, Quang Nam province to renewable energy and energy-efficient technologies for cooking, lighting and electrical machinery. This will be achieved through pico hydro, improved cook stoves for households and biogas for cooking at a school. By delivering the renewable energy to the communities, it is anticipated that it will facilitate economic growth by allowing the introduction of labour saving machines, efficient LED lighting and offer an improved environment by reducing fuel wood use and the consequent deforestation and smoke production. The biogas will reduce the amount of bottled gas consumed at the school and reduce the greenhouse emissions from the human waste. Delivering reliable energy to these communities is a challenge due to the small size and geographic distribution of villages, and diverse topographies. They keep few tethered livestock making them unsuitable for household biogas installations, and other small-scale technologies frequently fail due to an economic or technical inability to maintain and repair installations. This project will create an integrated model for the generation of renewable energy and energy-efficient appliances specifically suited to rural highland communities primarily through pico hydro and school-based biogas installations. Transmission will be through a local grid and a range of energy efficient appliances will be delivered to households and schools. The model will be responsive and customizable to meet varying physical and social environments, be economically sustainable and maintainable, and to integrate with existing community programs such as economic development, agriculture, livelihood, education, health and water and sanitation. The project will assist the establishment and training of a community-controlled entity to install, administer, monitor, and maintain the various technologies. It will also provide energy and appliances, and will be responsible for monitoring and compliance requirements associated with generating a financial return on investment. Income received will be reinvested to ensure the financial sustainability of the entity, plant and process. The project will also develop a toolkit for assessment and selection of locations and communities, and to assist in optimal site-specific design of subsequent projects. The project model and toolkit will be developed in consultation with a local financial institution to assist other similar communities to access seed loans for replication of the model. The position assists ADP managers and WATSAN NC in design, implementation, M&E of activities of the Integrated and Sustainable Clean Energy Solution for Vietnam, within goal, outcomes, and outputs in the project design document and annual/quarterly plans. - A minimum of 4 years’ experience working in Renewable and Clean Energy/Environment and at least 3 years’ experience in project management. - Sound project planning, management, monitoring and evaluation skills. - Good community mobilization skills, including networking/coordination among different stakeholders, especially local partners. - Good computer skills in Word, Excel, Power point and email. - Ability to travel to the targets communes and live in a rural setting.